SOME WANT IT TO HAPPEN.. SOME WISH IT WOULD HAPPEN…. BUT CHAMPIONS MAKE IT HAPPEN!! If you are passionate about cricket and want to make it happen then we are inviting you to Join Us!. 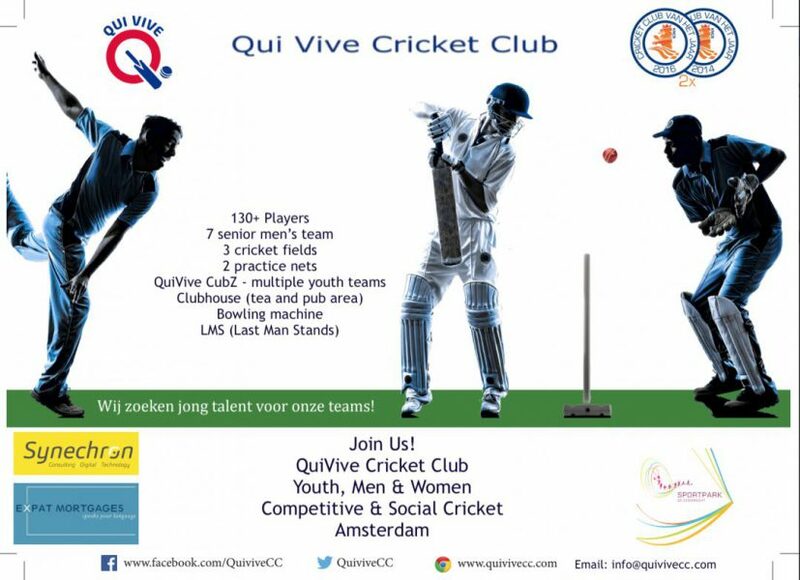 Qui Vive Cricket Club established in 1981 is one of the biggest clubs with multiple teams in various competitive cricket leagues across the Netherlands. 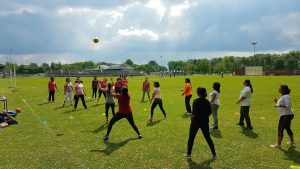 “Qui Vive Cubz”, our youth division, was formed just over 3 years and today we have around 35 enthusiastic CubZ/WolveZ, FOUR of the young ones are now in the Dutch Lioness program. 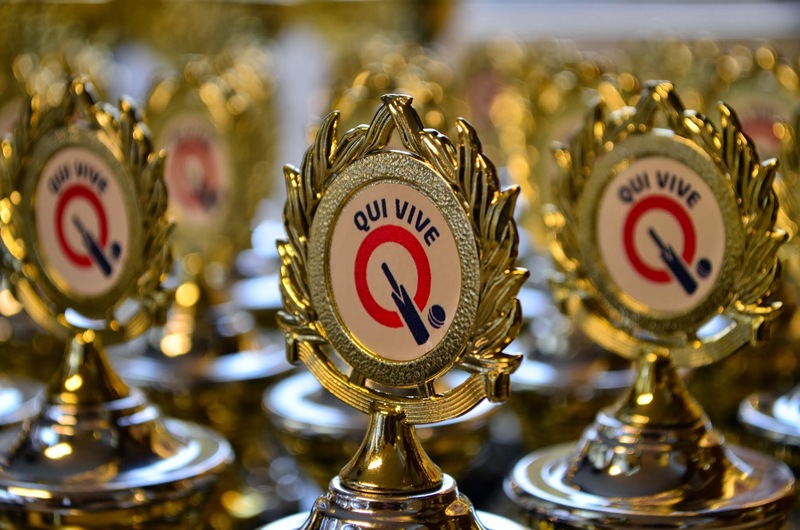 The name “Qui Vive” signifies being on alert to succeed and to be on lookout for new upcoming talent! We are always looking for players with different skills for our teams playing in various leagues, ranging from social to competitive cricket. Dutch league competition games are played on weekends and T20 competition games are played on weekdays in the evenings. Pre-season friendly games are also regularly organised against visiting teams from various parts of Europe. If you are a cricket fan but do not want to play during weekends, you are most welcome to become a social member and join us in training to enhance your skills at the same time keep yourself fit. You are of course more than welcome to join our social events that are held during the season. At Qui Vive there are great activities for every member of the family! If you are interested in joining the club then please send a mail to info@quivivecc.com and we’ll be happy to provide you the required information. Do not forget to follow us on social media!